Liiwor Bertrand AKA Liino 6ix hails from Nso in North West Region of Cameroon who saw the dawn of day in the early 1990s. 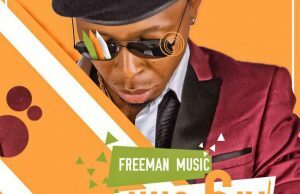 His exceeding love for music introduced him to recording studios such as May 27 records, Red Gong Entertainment, and CJ Records in Bamenda which have helped to shape his current style. 6ix is a versatile, energetic, talented and passionate afro/RnB artist/songwriter, delivering in his dialect (Nso Language), pidgin English, English and French. He started off as a rapper and gradually streamlined his art into the current Afropop style. Many who listen to him sing would usually confess that his style is unique. This uniqueness gives him the power to deliver exceedingly well on any beat you present to him.